You’ve definitely seen him on the big screen as Aaron Samuels in the box office hit Mean Girls, the classic chick-flick that blew up in 2004. 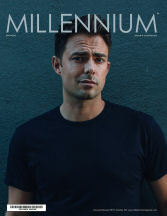 Actor Jonathan Bennett played the popular, handsome jock who Lindsay Lohan’s character (Cady Heron) had a crush on. 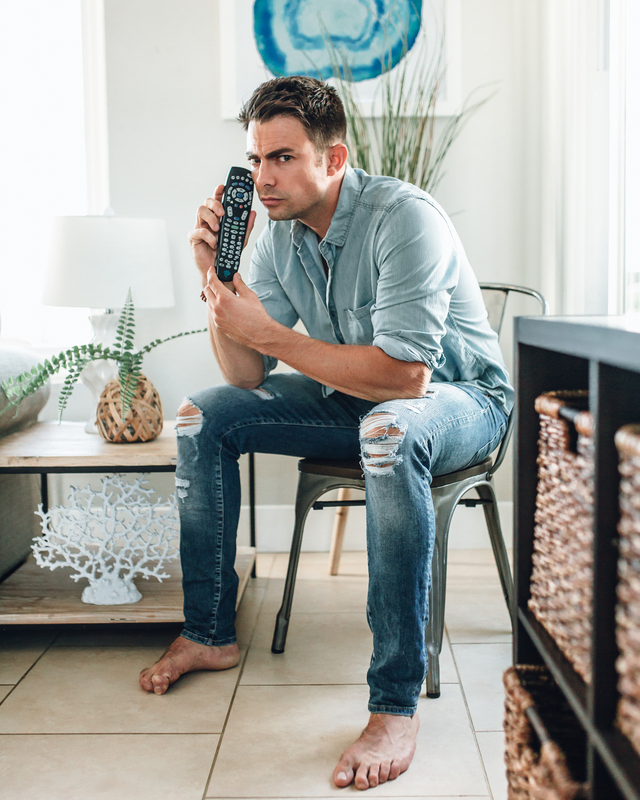 His undeniably good looks and charm lit up the screen, and fast forward to now, nearly 15 years later, Jonathan Bennett is still on the road of success. He is currently the host for Food Network’s Cake Wars, a reality television show where cake makers team up to fiercely compete against other cake artists to win a $50,000 grand prize. Bennett’s jovial personality takes the cake (pun intended) on this show, where he brings so much entertainment and warmth, adding some comic relief amid the grueling competition that can take place among the contestants. On his experience with hosting Cake Wars, Bennett’s favorite segment was Halloween Wars because “It was one of the best shows. We made it entertaining and I’m really proud of it,” Bennett shared. His favorite part of the job? “Being able to do the fun, cheesy skits they let us do,” Bennett added. He admitted that incorporating skits adds a whole new element of entertainment to the show. Bennett’s fans may wonder how the heartthrob actor-turned-host on the Food Network: “Cake Wars translates my love and passion for food into the mainstream. My mom was a chef, so I grew up around food. It’s a big part of who I am,” Bennett explained. Speaking of food, the Mean Girls star also recently completed a huge project: a cookbook that is a parody of the film entitled The Burn Cookbook: An Unofficial Unauthorized Cookbook for Mean Girls Fans, now sold on Amazon. The book is filled with delicious recipes that are inspired by the movie itself with adorable pun-intended titles of dishes such as It’s Not Regular Guac, It’s Cool Guac and Fetch-uccini Alfredo (Means Girls fans will totally get it). Bennett’s intention of writing the book goes beyond just cutesy recipes- “I also created this cookbook because I wanted to figure out a way to bring people together, not divide. 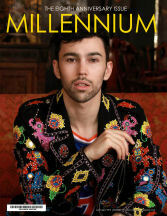 It’s the ultimate get-together book because it will inspire readers to host drinking games, brunches, and to just have a good time,” he said. 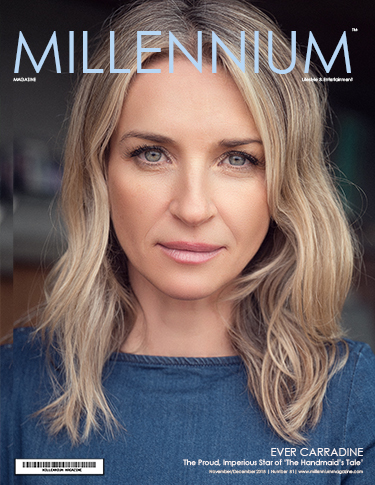 Bennett’s catchy cookbook was in collaboration with celebrity chef Nikki Martin and the foreword was written by a Mean Girls co-star herself, actress Lacey Chabert, who played one of the ‘Plastics’ in the movie. In addition to Ms. Chabert, working with fellow big stars such as Lindsay Lohan, Rachel McAdams, Amanda Seyfried and Tina Fey was an incredible experience for Jonathan. “Tina Fey wrote the script. It started as a project where we were casted as teenagers. Little did we know it would end up being a big hit and make everyone famous. Even Oprah said at the time that every teenager should go see Mean Girls,” Bennett said. “It’s a show that everyone can relate to. We all went through high school and every high school had cliques, so this film resonated with everyone. I’ve never met anyone who said they didn’t like Mean Girls,” added Bennett. 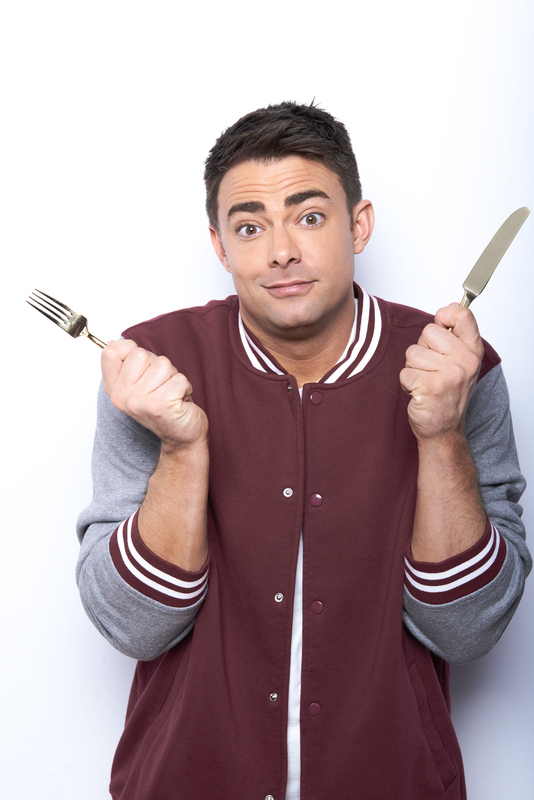 Not only did Jonathan Bennett pay homage to the legendary chick-flick through his parody cookbook, but so did mega popstar Ariana Grande, who just recently collaborated with Bennett in a music video entitled Thank U, Next, a performance that is inspired by Mean Girls, 13 Going on 30, Bring It On, and Legally Blonde. Ms. Grande epitomizes a queen bee ‘Plastic’ girl in a few of the scenes in the video. Working alongside Grande was a pleasure for Bennett and an experience he couldn’t refuse: “You get a phone call from Ariana and you say yes. I knew it was just going to be so gratuitous for pop culture fans. Ariana is so smart and she has fun. She was born to entertain people. When she’s on set, she wants to be there. She’s a workhorse,” the actor asserts. Does Bennett have anything in common with his character Aaron Samuels? “Not at all. We are polar opposites. One thing I guess we do have in common is that we both care about our mom and our friends. But I’ve even never kicked a soccer ball in my life, so we literally had a soccer coach come on set to show me how to kick a soccer ball. I was a theater geek in high school, not a jock like Aaron Samuels,” admitted the actor. 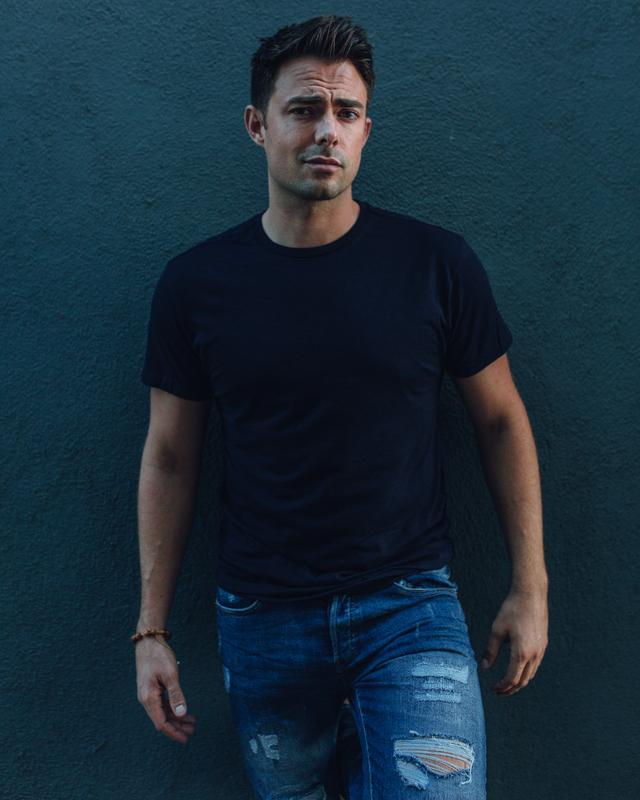 Jonathan Bennett may not have been the quintessential athlete in real-life like his Mean Girls character, but paradoxically, his passion and hobby aside from acting and hosting is fitness: “I’m especially a group fitness junkie. I like to do boot camp, spinning or cycle,” explains the actor. In addition to fitness, Bennett stays in shape by avoiding alcohol, but instead, indulging in guilt-free LaCroix beverages in all flavors. Moreover, his favorite go-to spot to grab a healthy bite is “Green Leaf Restaurant. It’s a healthy, cool, hip place to eat in L.A.” said Bennett. Like the next person, he likes to indulge every now and then on insanely delicious wings at Hot Wings Café on Melrose Avenue- “It’s a guilty pleasure to eat there,” he commented. In spite of the holiday season of egg nog and pumpkin pie as we speak, Bennett keeps his diet in check with eating clean and shopping at health-conscious markets such as Trader Joe’s. Although he may not indulge too much in calorie-laden holiday treats, he still shares in the Christmas spirit by starring in a holiday film entitled Christmas Made to Order, which airs on December 23rd on the Hallmark channel. Bennet stars opposite actress Alexa PenaVega in the movie, where Bennett plays Steven, an architect who is a novice at all things Christmas and hosts the holiday for the first time, but seeks the expertise of a holiday coordinator Gretchen (PenaVega) to help him out. Like most Hallmark flicks, Christmas Made to Order is a lighthearted romantic comedy that is a must-see for holiday enthusiasts. 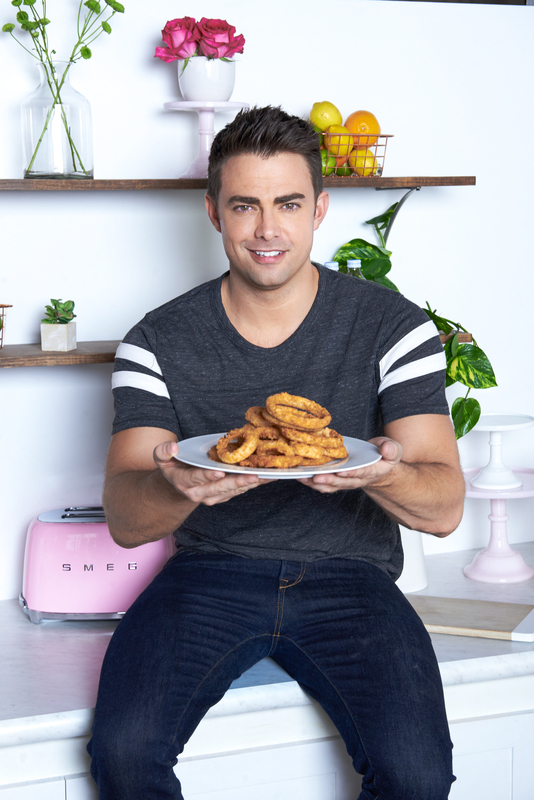 With a heart for acting, passion for food and an infectious, down-to-earth personality, Jonathan Bennett captures hearts all over the world both on-screen and off.